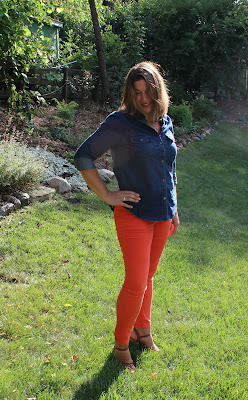 Life and Style by Lisa B: Colored Jeans Finally! Well the weather has finally cooled off some so I could wear an outfit that I've had in my mind all summer! 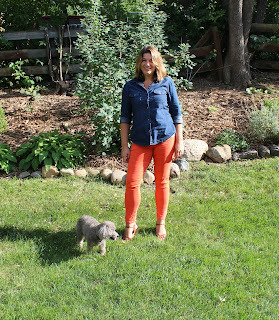 I bought these orange colored jeans at the beginning of summer and have not worn them yet! Finally!!!! Ditto always steals the show! On another note, our dear Ada has a boo boo. 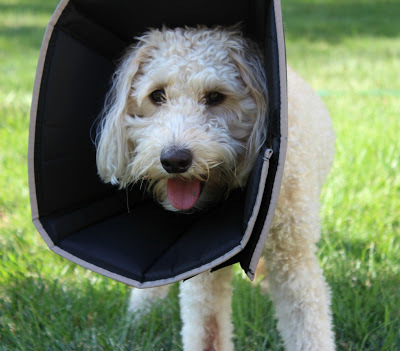 She now has to wear a cone for a few days. She is still so cute!